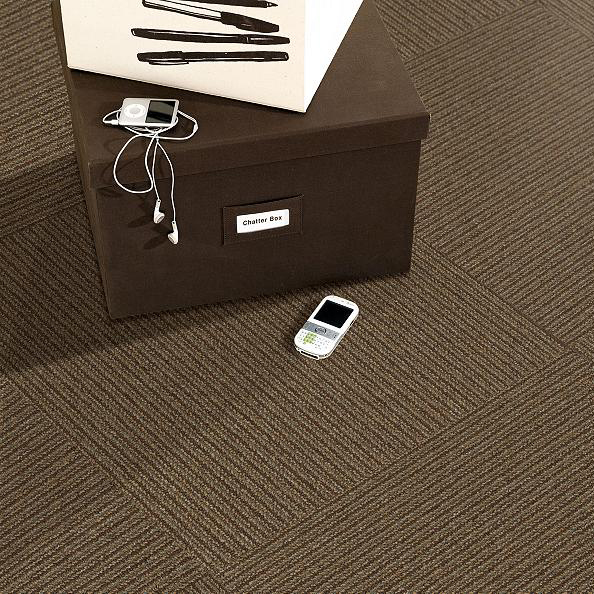 The Shaw Philadelphia Chatterbox commercial carpet tile collection offers a sophisticated backdrop to any business, office, lobby, hotel and more. Revealing strong linear graphics, these carpet tiles reveal an influential, affluent style that will remain an in vogue addition for generations. Likewise, these commercial grade floors encompass trusted durability built to withstand above average wear and tear backed by a lifetime commercial limited warranty. 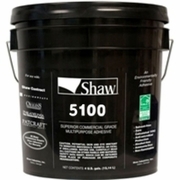 In addition to timeless style and long-lasting resiliency, Shaw Philadelphia Chatterbox is the hot topic of conversation for is outstanding sustainable attributes allowing for points towards LEED certifications. 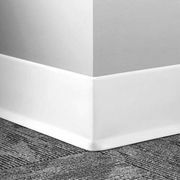 Comprised of Solution Q Nylon fibers and EcoWorx tile backing, these floors are constructed of pre-consumer recycled content with a cradle to cradle guarantee. Designed with a graphic loop construction, choose from ten distinct shades that bring any décor a level up in style and sophistication. Schmooze is a popular shade revealing a bold, earthly shade of dark and light brown tones for a high-class stately appeal. Differing, Chit Chat takes on a lighter shade of steel grey that effortlessly accents a wide range of decors for a versatile solution to any changing designs. The shade of Magpie presents a daring addition with a dramatic interplay of deep chocolate brown tones with bolded linear graphics for show-stopping commercial flooring.